It’s March so why is it called February #microadventure? 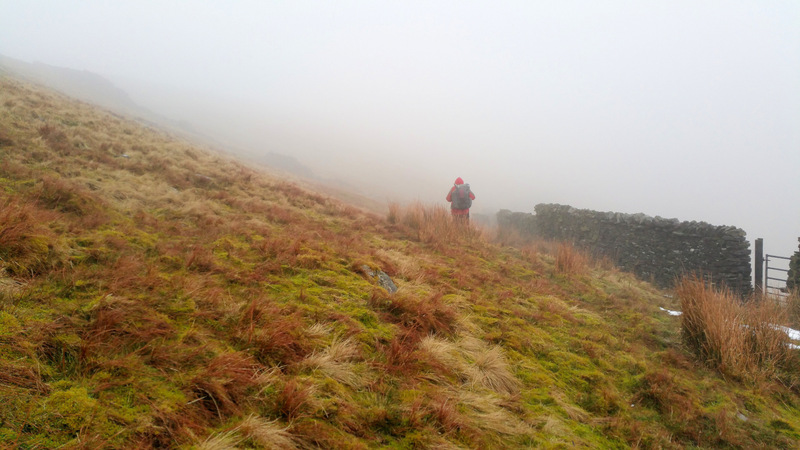 Well, the truth is, February was a busy month what with my son’s birthday, hiking 8 days of the South Yorkshire Way and the only free time I had left coinciding with a busy time for Stuart Greig, my #microadventure hiking buddy. 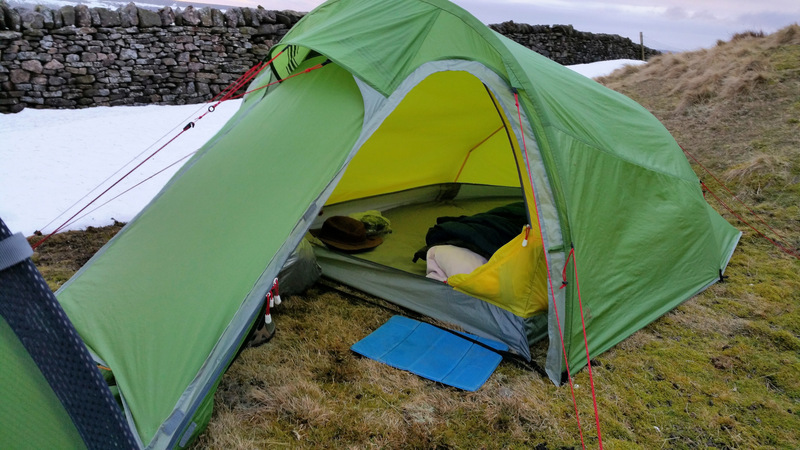 So we decided to do the second of our wild camps at the earliest opportunity which was March 7th and then try and do the March #microadventure later in the month. 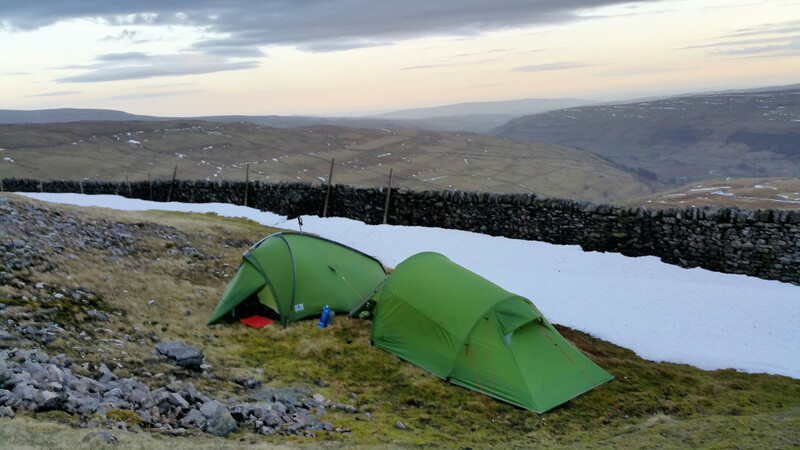 So…where did we go for our second wild camp? 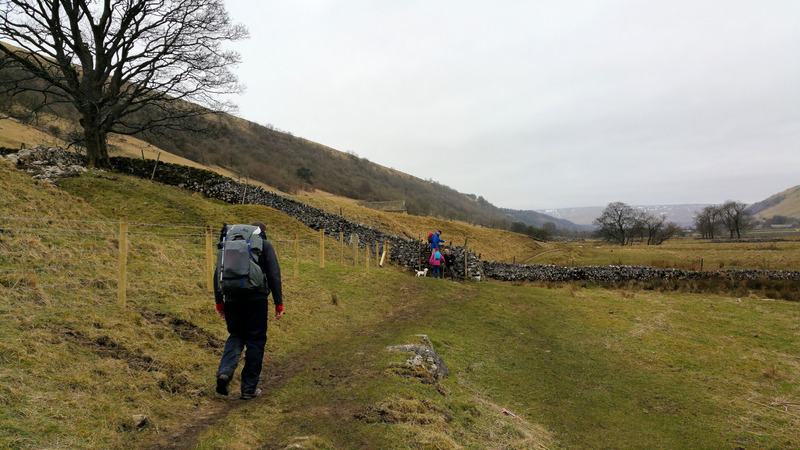 Funnily enough we headed back to the same part of Yorkshire for our second #MicroAdventure, only a few miles away from Plover Hill, but this time in the Wharfedale area. 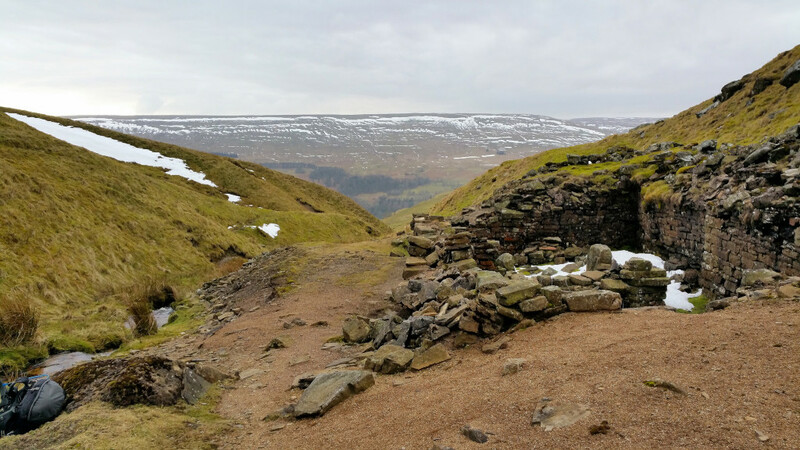 It is another familiar are to me having hiked there many times, but the chosen ascent towards Buckden Pike was new to me – Buckden Beck. Stuart has a soft spot for this route as an earlier blog post of his testifies and assured me it would be right up my street, so to speak, and I was looking forward to seeing what had sparked Stuart’s affection. The weather forecast for the weekend was exceptionally good with temperatures of 16C being touted on the news and sunshine being the order of the day. Indeed it seemed a lot of people had made plans to enjoy the unseasonably mild weather and my social networks were full of planned outdoor activities. This boded well for Stuart and myself as the focus for us of these microadventures isn’t the walk itself, but the wild camp at days end. The ‘adventure’, for us, is locating a wild camp spot and enjoying the location rather than putting in big walking miles, collecting trig points or bagging peaks and good weather meant sitting outside our tents, enjoying talks, swapping stories and planning future hikes whilst brewing up and cooking our meals. Bliss! I picked up Stuart early Saturday morning in my new (to me) car and, wanting to give the car a good push, ended up at Kettlewell rather earlier than anticipated. So early in fact that all three pubs in the tiny village were not yet open and the only cafés open didn’t accept credit or debit cards for payment (really!? In this day and age!!?) 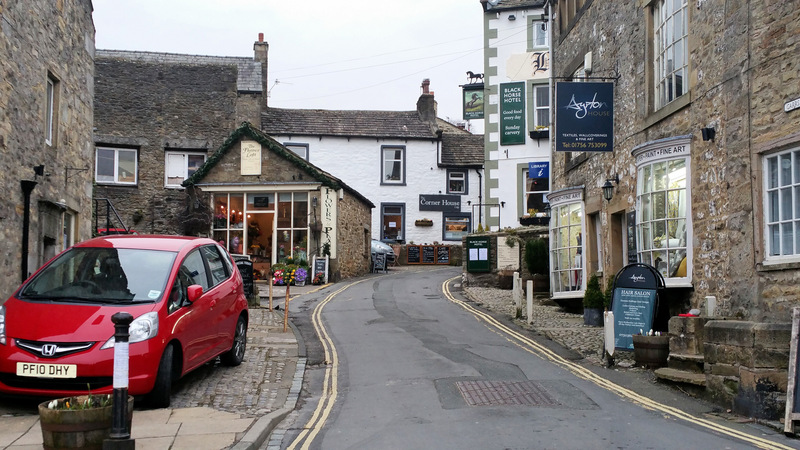 With only pennies between us we either needed cash or a more ‘progressive’ eating establishment that accepted card payment so we headed off to Grassington a few miles down (up?) the road where we found the town fairly heaving with folk out to enjoy the promised weather. Which, incidentally, didn’t look so promising at the moment!! Finding a cash machine we looked around for somewhere to get breakfast and I was surprised to find not only cafés open, but pubs too. Even the local fish’n’shop was open at that relatively early hour! 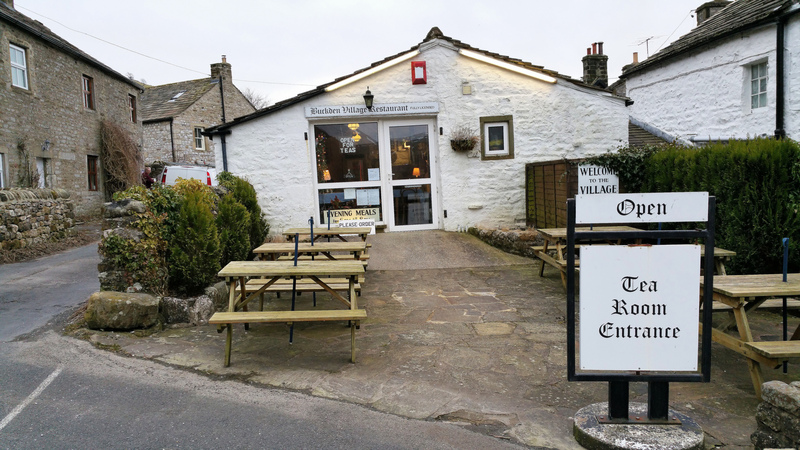 Our hunger satisfied at the delightful Corner House Cafe (bacon sub for Stuart, full english breakfast for me) we headed back to Kettlewell hoping the ideal parking spot I found earlier was still unoccupied (I prefer street parking to car-parks – it’s free!). The weather certainly wasn’t living up to the forecasted promise of sunshine and high temperatures – indeed the skies looked positively ominous with dark cloud overhead and moisture in the air and as we drove under the impressive Kilnsey Crag we wondered if we would actually get wet later. Back in Kettlewell a big 4×4 was occupying my former parking place (the cheek! 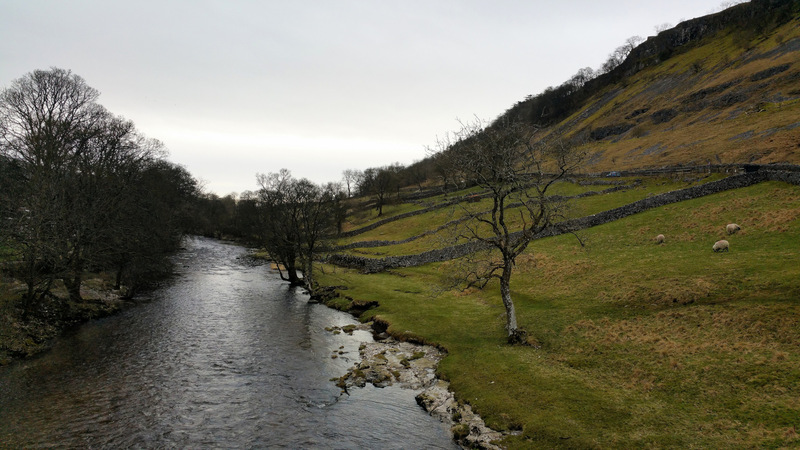 ), but I soon found another spot and, donning our packs, we headed over the bridge out of Kettlewell and onto the Dales Way, alongside the River Wharfe, towards the tiny hamlet of Buckden. Grey skies overhead threatened rain later, but the wind (which seems to be a constant companion on my adventures with Stuart) wasn’t too much in evident in the valley of Wharfedale and the heavy clouds didn’t seem to race along overhead like they did on our previous #microadventure. However, I wasn’t convinced that the winds wouldn’t come at us biting and snarling at some point – I do tease Stuart that he seems cursed where winds are concerned as, out of the last 4 adventures together, high winds and gales have plagued us 3 times! 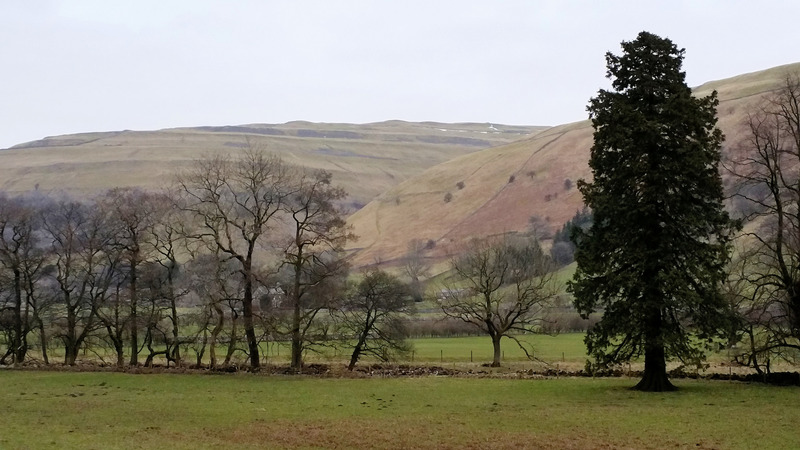 Towards Buckden with the route up the beck in the distance. Stopping off in Buckden for a brief rest I decided to have a coffee. That turned out to be a fiasco. How hard is it to make instant coffee? Very hard apparently as the first cup had milk that had gone off in it and I had to wait whilst someone from the cafe went to fetch more milk from somewhere. A cafe with no milk? It took 20 minutes in total to get my cup of coffee and if I hadn’t already paid for it I would simply have not bothered to wait. We grew chilled waiting and I observed (for the half dozen time) that this was meant to be the best day of the year so why was it so cold, dank and now windy! Yes, our old companion was back! Buckden Tea Room. Coffee was awful! 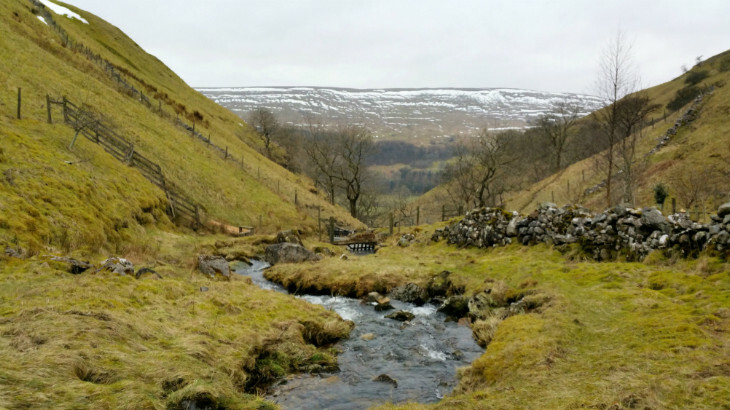 Heading up Buckden Beck was a joy. It’s a lovely little ascent with a number of water falls which were in full flow as the ice melt from further up combined with recent rains put the beck in full spate. The views, even on a day like this, were wonderful and climbing the beck in the summer months is something I plan to do. The waterfalls and pools look inviting even in the wind and I will be back to stand under a fall at some point. I can see why Stuart likes this ascent so much! The wind increased the higher we climbed and by the time we reached the old lead mine it was fair whipping along. I was thinking it might be nice to pop up to Buckden Pike as, although I am not a peak bagger, there was plenty of time for a short diversion, but Stuart was still in the process of getting his fitness levels back after his knee operation and the sharp climb didn’t appeal to him today. Instead we took a short break, collecting water from one of the many streams above the mine and thought about possible camp spots. The area around the disused lead mine afforded some flat camping conditions and with a westerly perspective would have made for a fine time watching the sun go down. But not today. The winds were picking up and the area was far too exposed and with the sky darkening with cloud there would be no magnificent sunset tonight! Heading around Starbotton Fell the wind was gusting now and whilst there was a wall that could have offered shelter it had a high bank of snow against its leeward side preventing us pitching our tents close enough for the wall to act as a wind break. Also it wasn’t particularly flat so, dropping my pack, I left Stuart to watch over it as I headed up Starbotton Fell in search of a more suitable pitch. Unfortunately none was to be found so we continued on around the wall for awhile with the wind now positively ripping into us until we eventually found a flat spot beside the wall with a steep bank behind us which offered the best protection so far. We noted the spot and continued further on, but it soon became apparent that there would be no better pitch than that one so we headed back and pitched the tents. My huge Robens Osprey 2 in the foreground. I am, at the time of writing, trying out the Robens Osprey 2 tent for the purposes of a review for OutdoorWorldDirect.co.uk and, compared to my old Lichfield Treklite 200 (which I reviewed here), the footprint is huge and we needed every inch of the available floorspace to pitch the tents. Even so I had one of Stuarts guy lines pegged in the porch area of my tent. We were almost wind free – for the moment at least! – so we set about making camp and whilst Stuart made a rocky bench to sit on I struggled with my Multimat Superlite Sleeping Mat. It had gained a puncture somehow and, whilst I had a repair kit with me, I couldn’t for the life of me find the hole. This was not good. Whilst the ground was free from snow and fairly even, it was a hard and a little rocky and I knew that a good nights sleep would be wishful thinking. I used to sleep without a mat years ago and knew I could do it again without complaint, but as the years roll on my body requires more comfort so I resigned myself to hoping the few extra pounds of flesh I had acquired over the winter months would cushion the ground somewhat. Robens Osprey 2 is huge! I love it. Once camp was set up we started on the evening meal and I was trying out some freeze dried foods new to the UK. 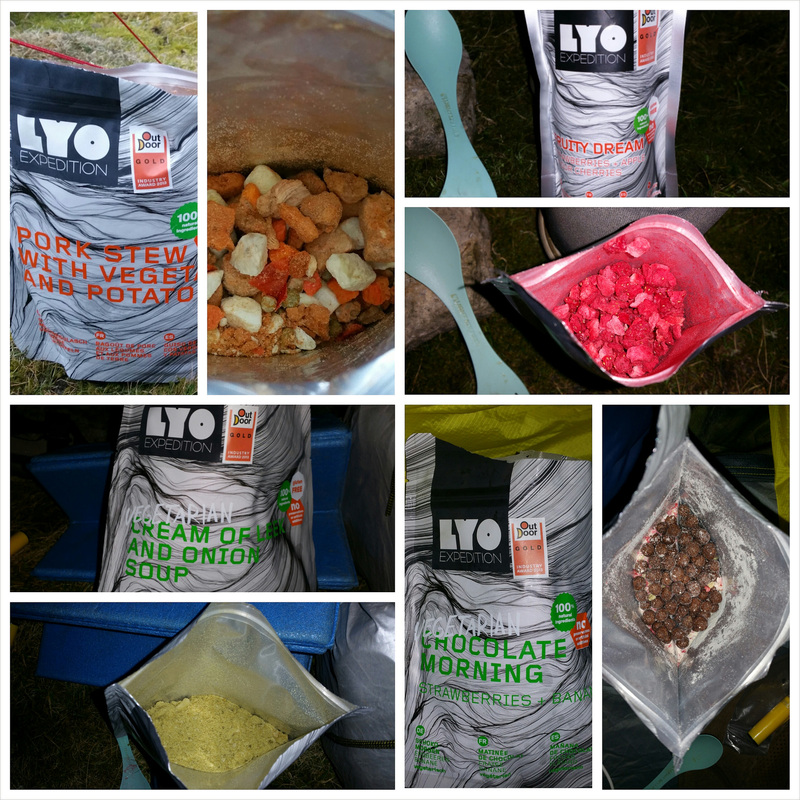 LYO Foods are popular on the continent and BaseCampFood, a UK distributor, are seeking to market this brand in the UK and offered me some samples to try out. I gave Stuart a large pack of LYO Expedition Pork Stew with Vegetables and Potatoes whilst I had the the same, but in a regular size (Stuart IS a big lad!) and we both agreed that both the constitution and flavour were very good indeed. I will be writing a review on LYO Foods soon. I also followed my meal with LYO’s Fruity Dream which I had hot and was gorgeous. We sat chatting and eating for a good while until the inevitable wind started to find its way to our camp and the temperature dropped enough that it became too chilly to sit outside any longer. We clambered into our respective tents with me enjoying the space I had in the Robens, but the punctured sleeping mat not so much. Still, Stuart perked me up no end when he said he had a couple of Cadbury’s Cream Eggs for me so, selecting a film to watch on my large screen mobile phone (Fury starring Brad Pitt – excellent movie! ), I settled in for the evening. Emerging from the tent a couple hours later found the hill swathed in clag and the rain falling steadily. The wind was also far worse than it was the day before and Stuart was mighty glad of his new backpack – the Mariposa Robic by Gossamer Gear – as it meant he could pack his gear away whilst inside his shelter and then stow the tent in a side pocket of the pack meaning less time spent packing in exposed conditions. I am used to packing my gear like this, but with Stuarts previous pack it just wasn’t practical. You can read Stuarts first thoughts on his new backpack here – GG Mariposa First Thoughts. Packed up and ready we set off into the howling, 40 mph plus winds and driving rain with visibility down to 10 yards! Despite the weather and the boggy paths we were both grinning from ear to ear trying to stay on our feet and watching each other waddle in the wind. Stuart captured me struggling in the wind. A friend of mine, Kay, said I look like a poorly disguised bog monster! What do you think? Two hours later, after battling through the gales and trying not to fall, over we descended at last back into Kettlewell via Top Mere Road (actually a track) at around 9am. Once back cocooned in the car we agreed that despite (or perhaps because of) the typical late winter conditions we both had another fantastic #microadventure and are already looking forward to the next one. It’s not too late for you to start your own #MicroAdventure and if you need any more inspiration then take a look at Martin Black’s blog where he is compiling a list some of his favourite microadventures written by others enjoying the great outdoors. 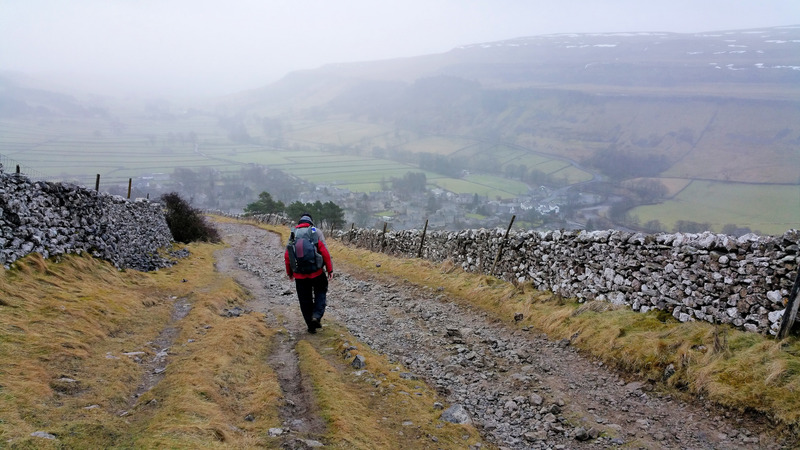 Accompanied Adventures, My Adventures Buckden, Hiking, microadventure, wildcamping, Yorkshire. permalink. Really enjoyed your write up the weather looked horrible on day 2.